I was positively surprised when I heard these crazy swedes for the first time. I was really into complex and harsh metal back then and was already familiar with bands such as Extol and Dillinger Escape Plan, but finally managed to stumble over these boys. They create so technical and polyrhytmic metal that make most other tech-metal bands pale in comparision and their 1995 release and second main release, "Destroy Erase Improve" is no exception. The albums style is fairly thrash-metal influenced with strong progressive elements only way more brutal. Heavy and brutal guitars and incredibly tight drumming messes with your head throughout it's 46 minutes playing time and rarely, if ever sounds dull or even uninspired. The scariest thing is their it's two followers, "Chaosphere" and "Nothing" are even more challenging! The production is great; clear and allows you to hear all details needed and it's a great support to the brutal music making it sound raw, but still very clean. Tomas Haake's drumming is amazing, his technical abilities leaves most other metal drummers I've heard in the dust and his overall performance is mindblowing. Vocalist Jens Kidman's vocals sounds like a mutated James Hetfield and is quite raw, but more in the thrash style rather than growling. The guitar duo of Fredrik Thordendal and Mårten Hågstrøm works wonderfully together and Thordendal easily manages to stand out as one of the best metal guitarists around, while Hågstrøm supports him with really great rhythm guitar work. Tight, heavy and just awesome. Some more melodic guitar playing from them are also present in the albums calmer parts as well. Peter Nordin's bass work isn't as audible but adds the needed heavyness of the guitars very well. "Destroy/Erase/Improve" is a superb album that managed to push forward Meshuggah's sound. This album is more original and powerful as well as being heavier and more orientated to Meshuggah's own sound. The debut album was a great thrash metal album taking great influence from albums like Metallica's "Kill Em All" and Slayer's "Reign in Blood". This follow up has shown that in the 4 year gap since the first album the band have really worked hard to improve their sound and create much more original music. This album has been accepted as a classic metal album. DEI doesn't really introduce too many of the band's progressive tendancies but it is clear that they are toying with some of the things that would make later albums sound much more progressive. Even their trademark use of insanely complex time signatures and shifts in tempo start to show up on this album. DEI favours much faster works yet often has the slow chuggy riffs and is incredibly heavy. This album is quite a treat as it is probably the last real time you will hear speedy metallic 6 string riffs before they would evolve to slow proggy mania and 8 string guitars for "Chaosphere" and onwards. The best tracks on this album are "Future Breed Machine", which is a relentless offering of heavy guitars and vocals playing at churning speeds that will leave you slaughtered. Other stand out tracks include "Sublevels" where Jens talks over this eerie track. "Acrid Placidity" shows some of the slower and calmer sides to Meshuggah and is sound that will be revisited in parts of "I" and tracks like "Mind's Mirrors" from "Catch 33". DEI is an excellent album, not a very proggy one but it is definetly one for fans of their later work. Perhaps this album serves as the last true test of how much a Meshuggah fan you are, as when they converted to their slower, heavier, proggier and more complex and intellectual music of the albums after this, it left some fans alienated who were just in it for the thrash heaviness. This album marks as the end of Meshuggah's more ordinary and the start of their more unique and intelligent music. An album that really improved and defined Meshuggah's own sound, Destroy Erase Improve is a collection of incredible riffs that will drown the inexperienced listener. However, if their was a place to start listening to this amazing band, this would be my suggested album for those inexperienced with "extreme metal". The album is less "chaotic" than Chaosphere but more "machine-like". From the very beginning, one gets the feeling of working in some industrial plant crafting machines of destruction. Really, that's about the best way to describe this inhuman assault. However, the album isnt without some breaks with some clean electrical breaks between the grinding sound of the guitars. This album has some of my favorite Meshuggah soloing. Somehow, Thordendal and Hagstrom are able to solo without seeming like the song is at a "solo" section. You know the feeling when a song comes to a guitar solo, and you know its coming and will spoil an otherwise great song with over the top indulgence? Well, Meshuggah has a guitar tone which makes you not think there is any soloing occurring, and sounds quite close to Alan Holdsworth. A great improvement over early Meshuggah works, one that clearly establishes them as creating new and progressive music/metal that will challenge the listener. 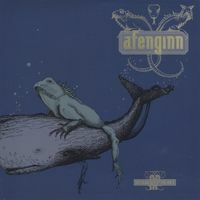 Progressive metal would not be the same since the appearance of this album. Definitely not for all tastes, Meshuggah constructed a devastating, hardly digestible, mathematic, almost cacophonic piece of brainy brutality. With skilful atmospheres of heavy minimalism and virtuous haphazard rhythms they vision an acid, machine-based, world. The scarce human presence is found only on the jazzy guitar soiling or some minor Scandinavian acoustic parts of Frederik Thordendal, saving this portrayed world of a complete melodic blankness. Their merit was on transforming brutality on a work of consummate avant-garde sophistication. Meshuggah´s second full length album is a real classic in the tech metal genre. The improvement since their debut Contradictions Collape is massive. I found the debut good but a bit too directionsless and at times too complex for the sake of it. Since then Meshuggah released the two EPs None and Selfcaged which was more simple, groovy and most importantly more memorable. It wasn´t until Destroy Erase Improve that I really understood what a special band Meshuggah really was though. The music is still very complex metal rooted in the thrash sub-genre. Think Metallica´s ...And Justice for All and then add lots of complex rythmic structures and aggression and you´re just about there. To top if off there are some really strange jazzy Holdsworth like soloing on the songs. It´s really impressive and innovative too. Meshuggah has not made an album like this since and I haven´t heard anyone else who has made albums in this style. Most tech metal bands operate in the technical part of death metal even though thrash metal is much more suited for complex playing IMO. There are many excellent songs on Destroy Erase Improve but I have to mention Future Breed Machine, Beneath and Soul Burn. I know this sounds like I haven´t listened to the rest of the album as these are the first three songs but it´s not true I just think these songs are the best. Especially the sure live favorite Future Breed Machine is really powerful and complex. There are no weak songs on this album though. The production is really good and helps emphazise the aggressive nature of the songs. It´s a very cold and brutal sound. I love it. Allthough this is an excellent and classic album from Meshuggah it´s only a 4 star album for me, as I feel they became even better with the more repetitive and brutal style they introduced on Chaosphere. Destroy Erase Improve is not to be missed though as it´s highly recommendable. It almost seems like a cop out. Meshuggah is widely known for producing music that is highly complex and barely digestible. I have no qualms with that. 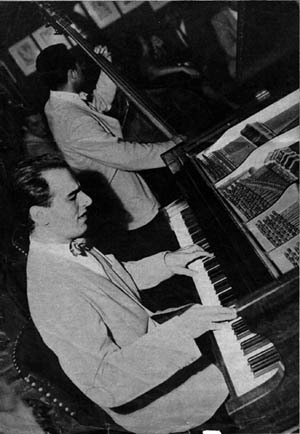 But the band seemed to come up with this idea that there doesn't need to be melody, doesn't need to be interplay, and there doesn't need to be any variation. The last comment sounds like it should be ridiculous, but it isn't. Even though the band comes up with bunches of rapidly shifting time signatures and polyrhythms, in truth there is next to no variation anywhere on this album. Note: there is exaggeration approaching. For the most part, the guitars play one note (the lowest), the bass plays one note (the same as the guitars), the bass drums play with the guitars and bass, and the vocalist screams one note (if you can call it a note, which you can't). All are technically skilled, but to me this album is the definition of stuck in a rut. Sure, high complexity rhythms that require calculators to break down have their allure. On paper, Meshuggah is fascinating. But when it comes down to actually listening to the music, this band is very much an acquired taste. Fans praise its brutality, its raw chugging feel. Both are present, and the band does well with both. In fact, if you are really into straight rage and brutality, you might like this. But with so little distinction between any two sections of any two songs on the album, any sort of emotive response is almost instantly dulled into numbness. Though the band does end up working out some of these kinks to a degree, this album is plagued by mononotous and painful drudgery. It works for a lot of people, it seems. Maybe it works well to listen to once in a while, offset by other music that features melody or lyrics (or does the Meshuggah guy actually intend words with his hoarse gutterals?). Destroy Erase Improve seems built on rigid structures, a bare bones sort of music. And to those who enjoy eating bones for dinner because its just so brutal, go ahead. To anyone who is interested by the band description and expecting something like Dream Theater or Tool, wait. You might like this music, but not if you are expecting anything like either of those bands. I hate writing terribly negative reviews, partly because I almost always see the upside in any band, but I cannot in good conscience either give this album any more than the lowest rating, nor could I ever recommend this album to anyone I know. Well I think Meshuggah may have nailed it with this album. This, paired with Chaosphere, is possibly the finest album of technical metal I have ever heard. The music is mathematically bombastic to no limit, however it isn't pompous, as pomposity would probably turn its nose up at the raw brutality and violence of this music. Once again, no melody to be found here, and even if you can call some bits melody, those parts are scarce. This is one of the reasons I love this album, and furthermore, this band in general. In ways, I do prefer DEI to Chaosphere. There is a lot more variety here, for example, and the riffs are generally way more inventive, however there is one thing that seperates the two, and makes Chaosphere the more superior: the latter mentioned is more of a statement in metal, it is way more technical and probably the least accessible of all Meshuggah's discography. It is a hard concept to grasp, but those who are fans of Meshuggah will hopefully understand what I mean. Now onto the actual tracks. The album opens with a bang, Future Breeding Machine is by far one of Meshuggah's strongest tracks, and features the heavy technicallity that fans love in abundance. It then leads into Beneath, that kicks off with a mellow intro and moves forwards into a creative onslaught. The only disappointing thing about this track is the unbearable ending, but you can merely skip that section. Soul Burn is another candidet for Meshuggah's greatest song ever. Tomas Haake is at his very best here and I never get tired of listening to any of it. The best bit is the middle section, in which in a nutshell, the band goes nuts on a heavy influenced avant-garde-jazz jam. Nothing more can be said, other than it is incredible music. Transfixion once again showcases Haake's amazingly tight drumlines, and some blistering tapping courtesy of Thordendal. Another very strong track that never gets dull, nor simple for that matter. Vanished is the weakest track off the album, however it still melts face in the vein of all it's prequels. Acrid Placidity is the mellow track which on any band's standards is superb to listen to. Quite on the contrary to the rest of DEI, this song is lush and clean, mellow and floating. This however only lasts for approximately two minutes, after which we are bombarded once again with Inside What's Within Behind, which is a confusing song to say the least. Tomas Haake really shows his rhythmic dexterity here by deliberately adding his ride symbol precisely one semi-quaver after the main pulse generated by the band and his right foot. Now I'm no expert on drum history, but I'm guessing that hasn't been done too many times before has it? Terminal Illusions opens up with a very eerie synth intro that although is mellow in comparison, is probably the most unnerving section of the album. We are then treated to what Meshuggah do best: technical, fast, heavy music for around three minutes. Here we see in technicolour how the band quite literally turn rhythms inside out. Listen to the 1st verse and 2nd verse in adjacence to understand what I am talking about. Suffer in Truth is a slowish number that is truly brutal. Some polyrhythms dot this great track, and the particular one in the middle maybe one of Meshuggah's funkiest. Sublevels is a standout track as is features Haake's spoken voice as the primary vocals instrument. An unusual track, this is littered with untouchable rhythmical dexterity and is just a treat to hear as the other songs. All of the tracks on DEI are wonderful and unique in their own way, despite their many similarities. Once again though, as with Chaosphere, this is the modern prog-metalhead's album. I couldn't recommend this any more to anyone with a good taste for adventure though. Superb, but not as innovative as Chaosphere; 4 stars. In comparison to their debut, "Contradictions Collapse", this is a very noticeable step in the direction Meshuggah decided they were going to pave. Unlike the first one, which to me is nothing more than a more complex, more brutal form of Metallica, Meshuggah has created their own unique sound and great promise abounds from them. This is probably their most accessible album, as well as a good place to start for someone new to the band. When I say "accessible" however, that's very relative. Meshuggah is by no means accessible in any way for the traditional prog fan, but this album has plenty of places for the listener to catch their breath amidst all the quasi-jazz soloing provided by Thordendal, who to me stands out as one of the most accomplished metal guitarists in modern-day metal. Me saying that Haake is beginning to sound like the beast he will quickly become at drumming is like saying that kittens might enjoy playing with balls of yarn. He's easily the most original drummer of present day music I've heard. Hagstrom and Nordin really help add to the overall heaviness and brutality of this album as well. Granted it's not as heavy as "Chaosphere", but this album is much more machine-gun thrash metal style. This probably isn't fully progressive, but there are plenty of progressive signs in the odd time signatures and polyrhythms beginning to emerge. Highlights of this album for me are Future Breed Machine, Soul Burn, and Sublevels. As for my favorite track, that could change depending on what day of the week you ask me. Future Breed Machine has a great intro that sets the mechanical tone that this album is going to have, as well as a very good, jazzy solo provided by Thordendal. Soul Burn might be the most brutal, guttural song on the album, and has some of Kidman's best vocal work. Sublevels has some neat growling by Haake that will show up again on later Meshuggah albums. The spooky atmosphere of this song is a great way to close the album up. Fans of extremely complex music or those who want to hear what kind of brutality progressive music can offer are more than encouraged to check this out, since it's probably the best studio album to start with Meshuggah. However, not all the people who fit my description will enjoy it without some patience in understanding what is going on. While this is a very good album, I still think Meshuggah has to get to Chaosphere before their sound of perfected. Thus I'll give this album 4 stars, but bump it up to 4.5 because it has no real weaknesses other than the issue mentioned. Considered by many to be the band's Magnum Opus, "Destroy Erase Improve" is certainly one mind blowing album. That is not even a stretch, after the first listen I thought my brain exploded. This is the album that truly defined the Meshuggah style. Crushingly heavy riffs, jazz fusion, extreme technicality, and bizzare time signature use. Truly the epitome of technical metal, (but not quite yet Prog-Metal, although it's getting there). It should be noted this album still has a thrashy feel to it, but not nearly as much as "Contradictions Collapse"
This album has all the we love and expect from Meshuggah. Crushing riffs, and insane drumming. Though it is not to the level of later albums you can clearly hear the magnificent work of Thomas Haake. His playing runs the gambit on this album. We hear double bass pounding thrash beats, to slow jazzy drumming, (that is quite beautiful) to has signature off beat, poly-rhythmic patterns. Although we heard bits of it before, this album really expands on the jazz fusion elements. The drumming and guitar work in these parts are simply beautiful. Best examples are in Future Breed Machine, Vanished, Inside What's Within Behind, and Sublevels. You can hear it in many of the solos as well. To a less musically traveled ear the solo's may sound like crazy metal shreds, but we here know better. The solo's are very jazzy. It also creates a very interesting juxtaposition. Not often can you hear high pitched, jazzy solos over brutally crushing guitar rhythm's. There are 10 songs on this album. All are good. Some are stronger than others. Some are absolute winners I could always listen to, some are good but not anything spectacular. I will talk about the best few on this album. Future Breed Machine. One of their most well known, and I see why. After a 30 second long intro that sounds like a factory the song kicks in. Overall, a pretty thrashy song, with heavy riffs and some pounding vocals. The double bass part just after 2 minutes is very intense. However, just after is one of the best parts on the whole album. This jazzy section is just wonderful. Then it's back to brutality. Acrid Placidity. This song is a total departure from the album. It is slow, mellodic with beautiful guitar work and almost no drumming. Yup, it's all about the guitar, and words can not describe. A must listen. Interesting to note: this song was written by rhythm guitarist Marten Hagstrom. We're so used to his crushing rhythm guitar work, it is amazing to see his melodic side. And after hearing this song it is no surprise Meshuggah started moving in that direction since his entry on this album. Suffer in Truth. A slow, bassy, double bass drum pounding intro. This song features some of the best bass guitar on the album. Not to mention some superb drumming and guitar work. It is a very mechanical song with a great feel. Sublevels is a great song, and has one of the best intros! Also, some of Haake's best work. Overall, a great album. Obviously not for the regular progger or even the standard metal head. This album is INTENSE. It is not the easiest to listen to, (although better than some later works). You must like this kind of music. The vocals of Jens are a drawback. His vocals have always been tough. 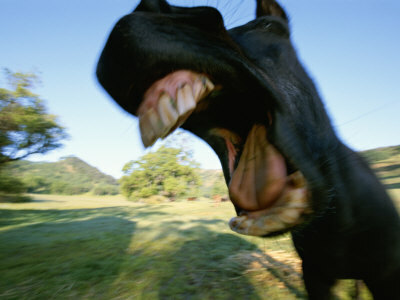 They are not deep growls, or high pitched shrieking...just loud. They can be very piercing. It is tolerable though. Great album. Great sound, later to be expanded. If you are a fan of more extreme metal, technical metal, and the more extreme side of prog-metal this album is a must listen. 4 stars. 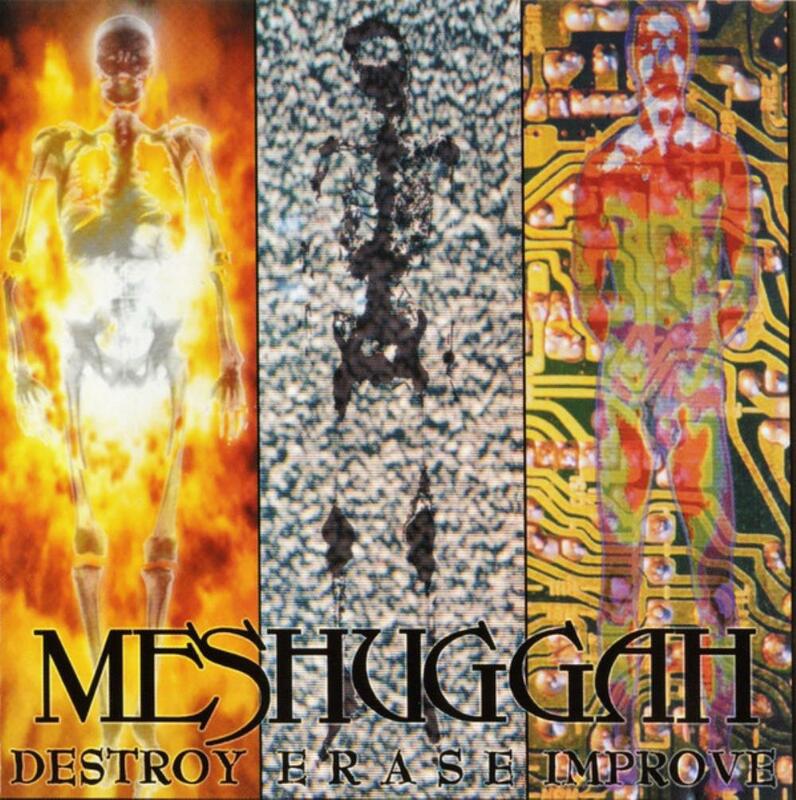 Destroy Erase Improve was my induction into the fascinating world of Meshuggah! Granted that I originally put them off as just another Death Metal clone of bands like Cannibal Corpse and Slayer, Meshuggah's material did in fact improve upon revisits. After just a few spins of this album I was surprised by how original their music sounded in comparison to everything else remotely related to the Extreme Metal genre. These subtleties are difficult to spot by the untrained ear but what a difference they created for my overall appreciation of this music. If you're new to the genre then you're probably only going to hear the brutal wall of sound made out of downtuned guitars and crazy polyrhythmic song structures, I know this from my own experience. Just give it time and the music will definitely grow, especially if you're a fan of avant-garde music. The album begins on an all-time Meshuggah highlight where Thordendal adds unexpected melodic elements to his sound by using some sort of a breath controller type of device which he blows into to produce that distinct sound on Future Breed Machine. I've had the honor of attending three of the band's live performances which all concluded with this marvelous composition. Actually it's usually fairly obvious when the band choses to perform the track since Thordendal always prepares his breath controller device just in time for the performance. The second and a much less expected stand-out track is Soul Burn which is a really groovy composition. It's also somewhat distinct for having backing vocals on it. The section where the lyrics go "step by step I'm taken through the past" is one of those really unexpected moments that make my smile every time I hear it. I should probably note that the album's second part is not as heavy as the first and actually relies much more on atmospheric guitar playing. It all begins with Acrid Placidity which is an interlude of a sort which takes the album into a real pleasure dome. There is of course one brief but an even more pleasant interruption of this with Suffer In Truth. This song is another live favorite that I originally didn't like but learned to appreciate after seeing Meshuggah performing it on stage. It's safe to say that Destroy Erase Improve will always remain a favorite of mine in terms of great performance combined with even better material. Still I doubt that fans of progressive rock would have the patience and time to undertake this excruciating journey for the pay-off that awaits them on the other side. Therefore an excellent, but non-essential addition to any prog rock music collection. Meshuggah are innovators, and Destroy Erase Improve is where they wheeled out many of their innovations for the first time. There's little question that this album is of crucial importance to progressive metal, particularly that odd little strand we call "djent". I say give it a go if you're interested in where the djent craze came from, but don't judge the entire subgenre on the grounds of this shaky early blueprint. 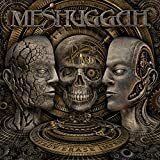 Post a review of MESHUGGAH "Destroy Erase Improve"